Huawei has officially announced the local Australian RRP for their new flagship P20 Pro smartphone. When it launches on May 18th, the device will command a local price-tag of $1099. 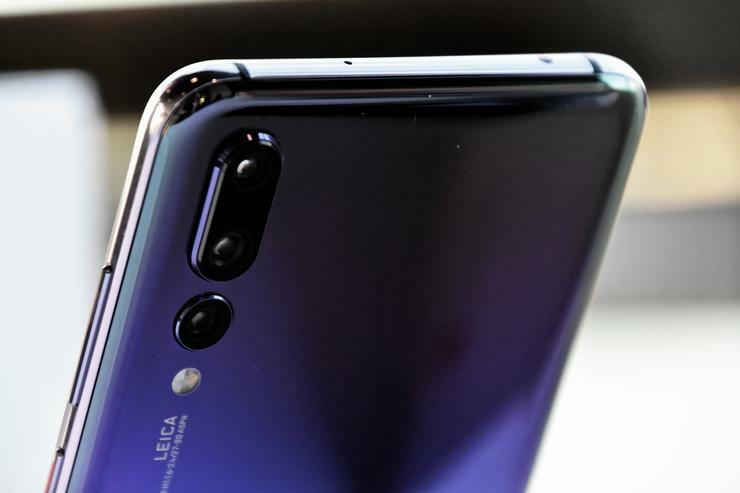 Unfortunately, at this stage, it looks like Huawei won't be bringing the regular P20 or P20 Lite to the Australian market - with the Nova 2 lite and Nova 3e set to round out the company's mid-tier portfolio. In terms of specs, the P20 Pro runs on Huawei's Kirin 970 CPU and 6GB of RAM. The P20 Pro also features a hefty 4000mAh battery and comes equipped with the world's first triple lens smartphone camera. More specifically, it touts a Leica-developed camera configuration is comprised of a 40MP RGB sensor, a 20MP monochrome sensor and an 8MP sensor with telephoto lens. As a result, Huawei say the P20 Pro’s highly sensitive image sensor captures low light photos with up to ISO 102400. The Huawei P20 Pro will be available from 18 May 2018 from JB Hi-Fi (Black & Twilight) , Mobileciti (Black & Twilight) and Harvey Norman.